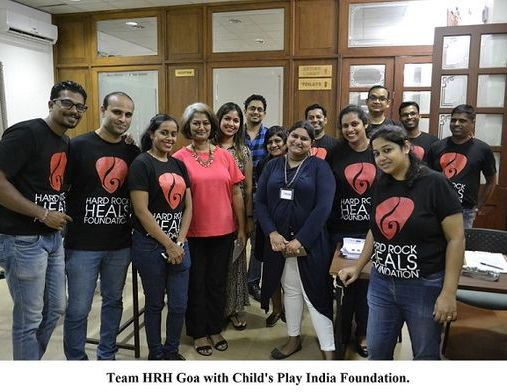 The Hard Rock Heals Foundation, in partnership with Hard Rock Hotel Goa, announced a $5,000 grant to be awarded to Child’s Play India Foundation in 2019 as part of its commitment to improving the lives and resiliency of local communities. Child’s Play India Foundation is one of 50 local grant winners around the world to get support from Hard Rock International’s charitable arm. Hard Rock International (HRI) is one of the most globally recognised companies. Beginning with an Eric Clapton guitar, Hard Rock owns the world's most valuable collection of music memorabilia, which is displayed at its locations around the globe. The Hard Rock Heals Foundation is a registered 501(c) (3) charitable organisation and oversees all philanthropic outreach for Hard Rock International. Music is energy; it stirs emotion, inspires, connects and restores. The Hard Rock Heals Foundation exists to improve lives through the power of music. Since its inception in 1971, Hard Rock International has brought people together through the power of music. Child’s Play India Foundation is an El Sistema inspired charity that seeks to instil positive values and provide social empowerment to India’s disadvantaged children through the teaching of classical music at the highest possible standard. It was founded by Dr Luis Dias in 2009. The organisation currently teaches violin, viola, cello, recorder, transverse flute, clarinet and piano to over 60 children in Goa and has another 40 children in its choir project. They also have two orchestras: the Camerata Child’s Play India, which consists of senior students, teachers, and local musicians from the community and Junior Camerata Child’s Play, which is made up of younger students. 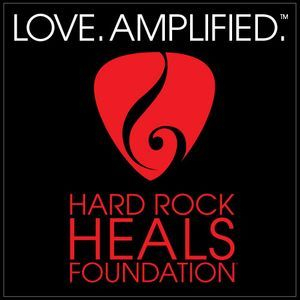 ‘The Hard Rock Heals Foundation lives by the ‘Love.Amplified.’ motto. As part of our effort to improve lives through the power of music, our yearly grant programme provides the opportunity for each Hard Rock team to nominate a charitable organisation in their community. With properties in more than 75 countries, this process allows us to serve diverse, local communities through trusted partners that share our belief in the universal healing power of music,’ said Kellie Brown, Manager of Global Philanthropy for Hard Rock International. This is the foundation’s third consecutive year supporting community-run programmes through grants that provide greater opportunities for those who share Hard Rock’s passion for music. In 2019, the Hard Rock Heals Foundation will donate a total of $250,000 to local charities in in support of their music-related efforts. For more information on Hard Rock International, visit www.hardrock.com.